Google’s latest update to its search algorithm is called Panda. To prevent any kind of over optimization penalties from harming your search engine optimization efforts, read ahead. These link building tips are taken from the best practices of bloggers from all over the world and should work well enough with other search engines too. When you post an article as a guest blogger on other popular sites, it is the best way to earn great back links to your blog post. Find out the blogs in your niche that accept guest posts and approach them with your offer. This is an often overlooked aspect of link building that has great benefits. 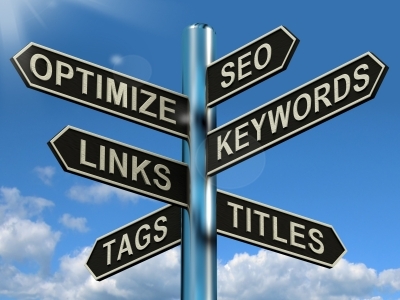 It is quick and improves the chance that your targeted keyword is linked to your blog post. Make sure that your comments are well reasoned, on point and are not spam. Submit your most recent post to a list of website that publishes articles. You can expect up to 4 back links for each article that you submit. This improves your blog’s ranking. This is the most sure-fireway of generating traffic to your blog. Genuine, quality posts on topics of interest will naturally lead to a lot of back linking. Delicious, Digg, Reddit and StumbleUpon are great social bookmarking sites that let you submit your post. People who love your article would like to share it on these websites, so make sure that you have the appropriate buttons next to your tag so people can recommend it to others. Try to obtain post-level link exchanges with bloggers in your niche. This is more effective and beneficial to both parties than blogroll exchanges, especially if both your blogs share similar ranks. Websites like Squidoo and Hubpages allow you to post articles around a certain topic that you are interested in. If your topic is popular, you can earn from the articles you post. Even if it isn’t, these websites are considered authority websites by Google and hence carry great weight in rankings. Try maintaining the same blog content across several free platforms to enhance your chances of being indexed by a crawler. Submit your blog to online directories. These directories will help in sending out alerts whenever you publish a new blog post. Remember to submit to directories that correspond to the niche that you write about. Maintain a good, consistent presence on the major social networks and share the blog posts that you have created to people who would appreciate it. Sharing your blog post work well in improving your SEO. Thank you Anish, iam appreciating your efforts.These Tips were helpful to All Seo Related Bloggers.